A Banyan tree in old Shegaon. Two youngsters noticed a peculiar personality strongly built. Fair in complexion. Young in age. Peculiar calmness and satisfaction on face. Searching rice particles on the patrawalies. And chanting Gan Gan Ganat Bote. No effect on face of scorching heat of summer noon time. 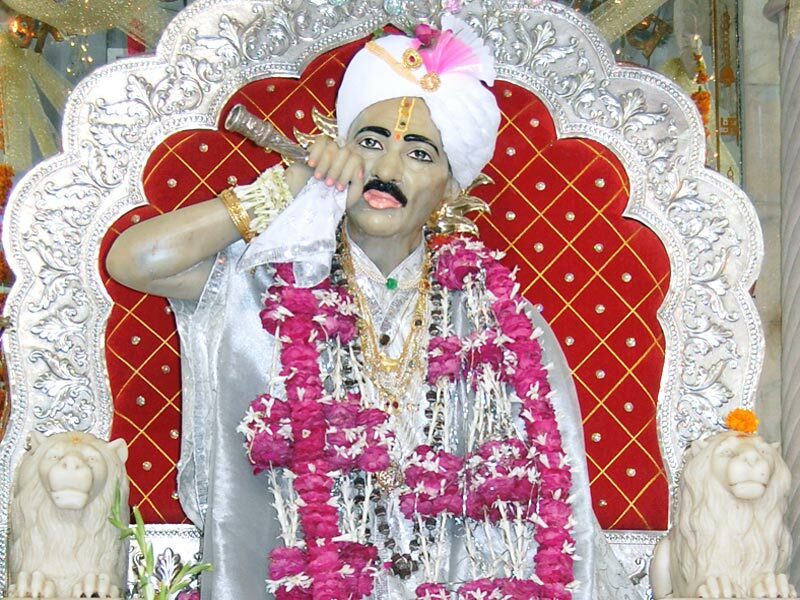 That was the first appearance of Gajanan Maharaj in tiny Shegaon Town. The personality was so impressive that the two youngsters, Bankatlal and Damodar were attracted to the charm, And then began the legendary life; his legendary charisma. 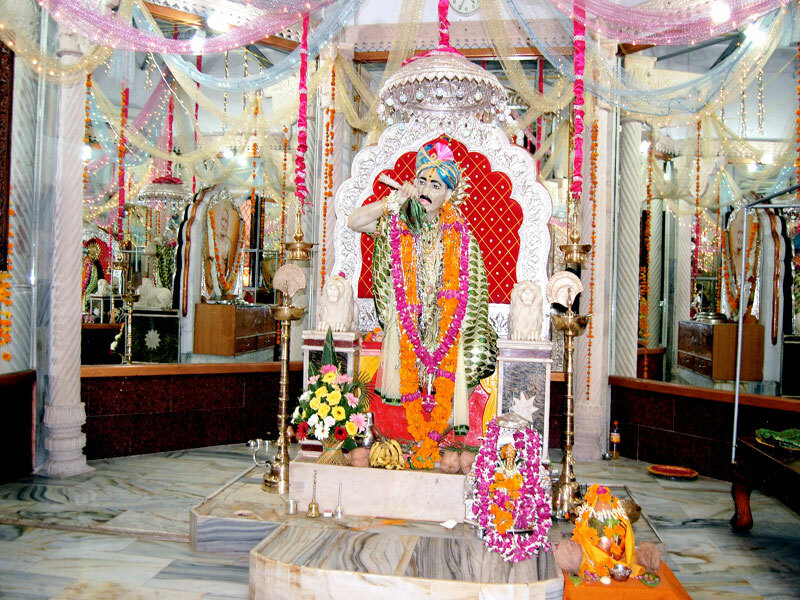 It is said that he was the Awatara of Samarth Ramdasa of Sajjangarh. Devotees used to offer him rich food, clothes, ornaments etc. But he used throw away all there. He used to lie anywhere, eat anything, wear any piece of cloth or nothing at all.. He used to keep away from the worldly things. But though he tried to the people that he is in same, he has no literary knowledge, and so on. it is amply proved that – he was Bedshastree Sampnna, he was perfect in Yogashastra and that he had done Tapascharya, and he even knew the language (or psychology) of animals and birds. That’s why Mahan Yogies, learned people and famous personalities used to come to see him. He with Lokmanya Tilak and Dadasaheb Khaprde of Amravati went to have the Darshana of Prabhu Ramchandra at famous Ram Mandir of Akola. Shri Vasudevanand Saraswati also visited Shegaon to meet Gajanan Maharaj. So many people of education and status used to visit Shegaon. Gajanan Mahraj was Siddhayogi He has done so many unusual things which were called chamatkaras. He has famed odd behaving animals. He had ordered birds like crows to behave properly. He had brought water to waterless well; cured the sick, helped the helpless, showed right path to those who wanted and what not? had gives people advice to his devotees. He could read the mind of his Bhakta. Those who came to see him with some purpose in mind, always went home satisfied. It is sad (and said rightly) that there was always peace and satisfaction around his stature. His eyes could give proper direction to the erring. He was thoroughly a ‘faith heater’ a psychiatric in today’s language. That’s why he is worshipped in every house in Vidarbha, Maharashtra and nearly states. In Vidarbha without showing (giving) him Naivedhya nobody take one’s meal. Because of the immense good done to the devotees.He had become a legendary phenomenon. There are hundreds & Thousand of Temples in all the parts of Maharashtra as well as outside Maharashtra of his name. That’s why Shegaon of Shri Gajanan Maharaj is called “Bhu-Vaikenth”, “The Abode of Bhagwan Shri Vishnu on earth”. In short he was a Rishi guiding the disciples, he was a yogi taking care of disciples, he was a Siddha doing good of the disciples, he was Vedandti correcting the Pandits & Kirtankaras, and he was Guru-Acharya showing the real path to the disciples. And yet he tied to keep alert of all of this, all through his life. 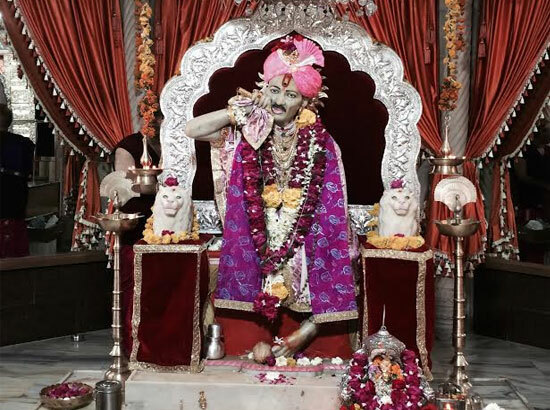 So he has become the Daivat of Vidarbha, and Shegaon has become the Pandharpur of Vidarbha.